Though the price of success will be much longer hours, Chad Knaus applauds NASCAR's move to at-track postrace inspections and disqualifications because it will save him the stress. "I think we all understand that's something that needs to be done so we can get the results done, finished and just move on," Knaus said during an interview on SiriusXM NASCAR's The Morning Drive program. "When you win a race previously in the Cup Series and you had to wait until Tuesday to take your car apart, that was the worst thing in the world. "You hated winning a race because all you did from the time that you left victory lane was worry about whether or not your car was going to pass inspection for three days. That's awful." Knaus will be the crew chief this year on William Byron's No. 24 Chevrolet after 17 seasons and seven championships with Jimmie Johnson. Describing the new process as "clean," Knaus said it reminded him of when NASCAR did inspections nearly exclusively at the track prior to its R&D Center (which opened in 2003). "It's not so unlike what we did years ago, we used to take our cars apart at the racetrack all the time and go through a postrace inspection and then pull randoms at that point and take them back and get a look at them," Knaus said. "It's something I'm not too unfamiliar with, the only new caveat is the fact that they're going to disallow race wins. Unique from that perspective but familiar in another." What is different from that era is green-flag times. Every Cup race in 2019 will be starting at 2 p.m. ET or later, which could make for "a heck of a long night on Sunday," Knaus said. "When we were doing this in the past, races were starting around midday. Push that start time back two to three hours, and now you're two to three hours into the night, it could be 10 or 11 o'clock (p.m.) before we get this done." The new inspection process will be governed by Jay Fabian, who takes over this season as the managing director for the Cup Series. NASCAR chief racing development officer and senior vice president Steve O'Donnell said Fabian was chosen because of his work on inspections the past few seasons and his background in Cup. 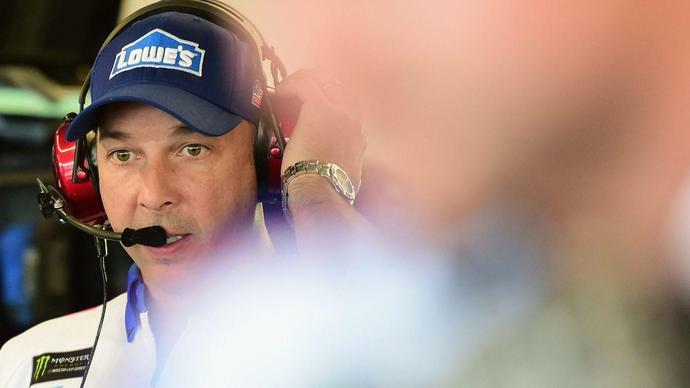 "I think Jay is going to be a good asset to the group with the managing director position," Knaus said. "He's got a good relationship with a lot of guys in the industry, so I think he's going to be a good addition. Definitely has the ear of Scott Miller, which is good. Those guys will be on the same page and pretty consistent with their officiating throughout the season. I think that's all good stuff." Keep up with all of this weekend's on-track action. Martin Truex Jr. makes the biggest climb in this week's rankings after his Richmond win.